While exploring the Bates-Hendricks neighborhood district on the Southside of Indianapolis recently, I noticed a beautiful old building at 306 Prospect Street. I wanted to find out about its history. After conducting an internet search for the address, I found out that the structure was built in around 1900 for the Southside Turnverein Club. 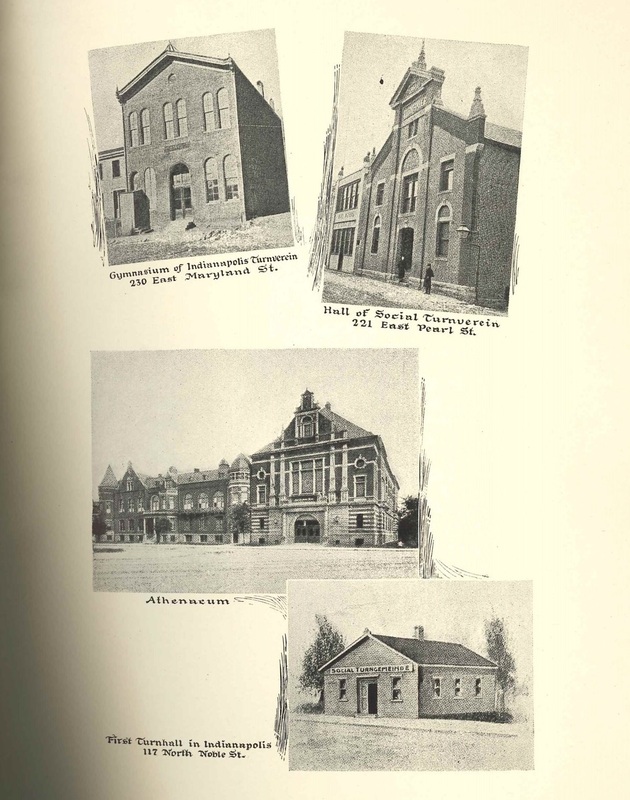 I then looked in the Indiana State Library catalog to see what types of materials were available about Turnverein Clubs. From the mid-19th to the beginning of the 20th century, German-American Turnverein Clubs were spreading across North America. Indianapolis had several of these Turnverein, or Turners, clubs, which were athletic clubs for German-American immigrants. According to the “Indianapolis Turnverein 1851-1926 Seventy-Fifth Anniversary” pamphlet (ISLO 977.201 M341 no. 40), the Indianapolis Turnverein was started in 1851 by August Hoffmeister, a “zealous agitator for the founding…” of the club. Below is a rendering from the program of some of the “turnhalls” in Indianapolis included in the pamphlet. These Turner Clubs were social clubs as well as for physical fitness and gymnastics. The best known Turnverein Club in Indianapolis is the Athenaeum, which was built from 1893-1898 and was originally called Das Deutsche Haus. 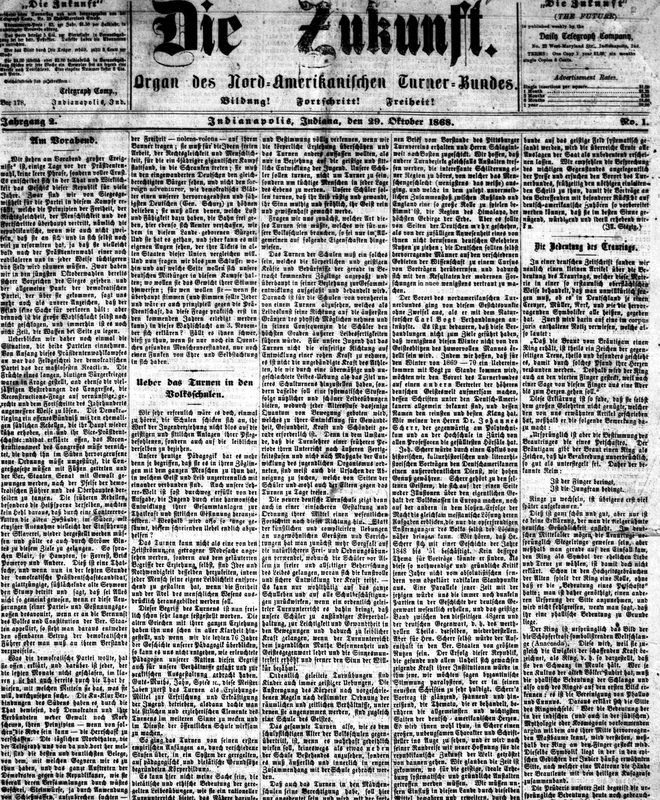 The Turnverein Clubs helped German-Americans preserve their German culture and philosophies, while also honoring their new homeland, the United States. The Turners’ philosophy was that mind and body wellness and fitness were of great importance and integral to a healthy life. Turnverein Clubs flourished in the United States until after the start of World War I, when growing anti-German sentiment caused the clubs’ membership and funding to dwindle. Despite efforts to revitalize Turners Clubs during the second half of the 20th century, most of the buildings here in Indianapolis were sold or used for other purposes. Fortunately, the Southside Turnverein building is in the process of being remodeled and reopened as a corporate headquarters later this spring. 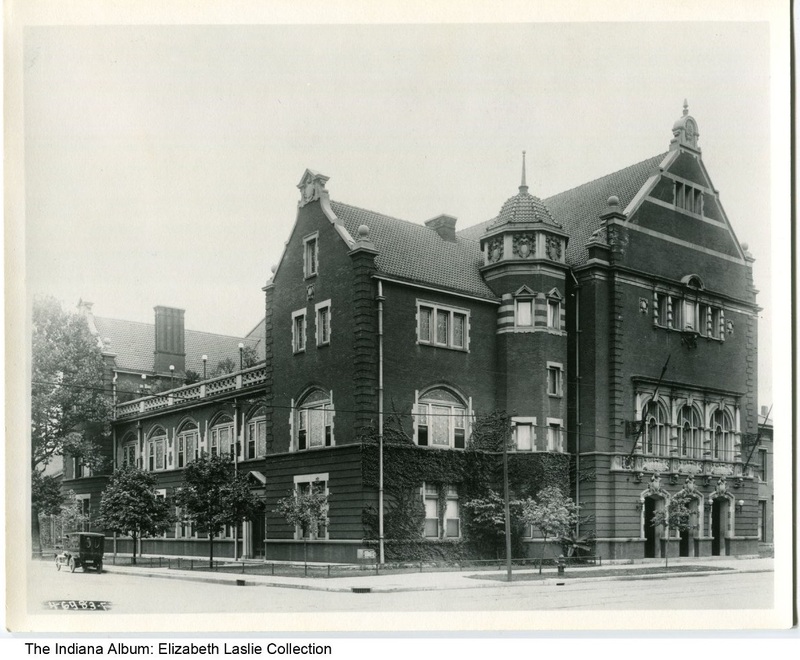 This entry was posted in Indiana Division and tagged bates-hendricks, clubs, german, german-americans, Indianapolis, turnverein by indianastatelibrary. Bookmark the permalink. 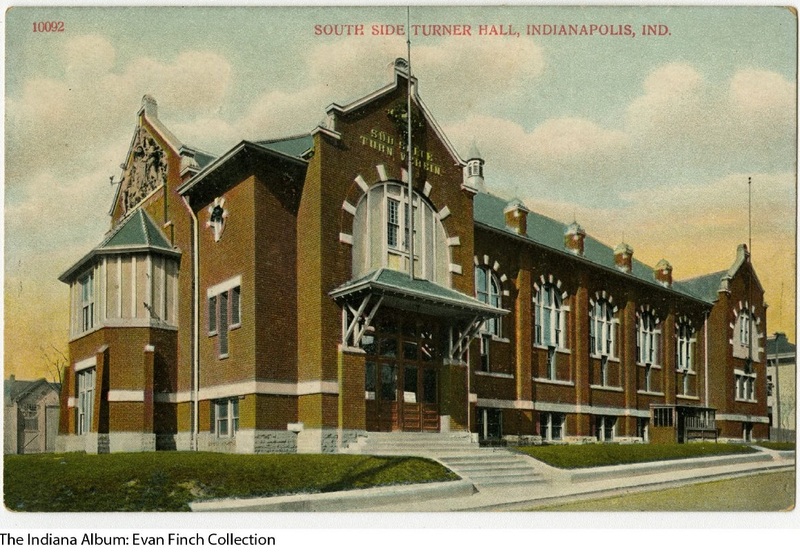 I often wondered about the Southside Turner Hall- thank you for your curiosity and research. Cool old buildings- seems a shame to abandon and or tear down. I am glad to hear it will soon be in use again.